The first authentic document containing mention of the Maison Carrée is the twelfth century cartulary of Notre-Dame Cathedral in Nîmes. 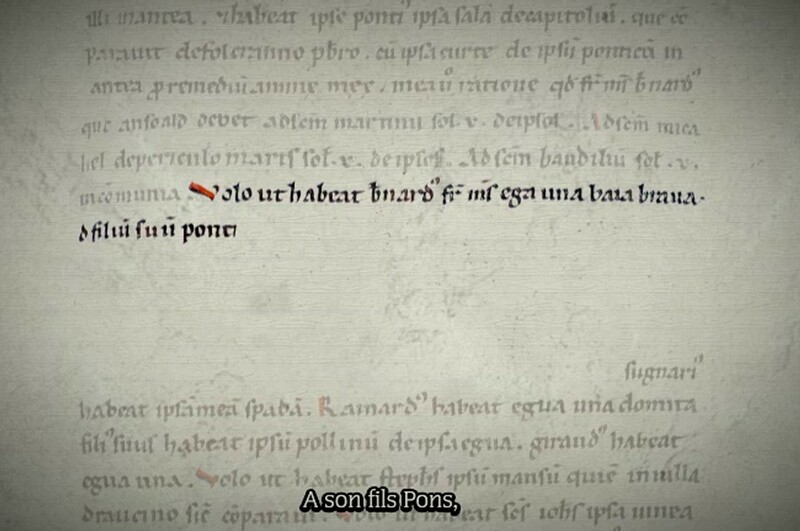 It was then the property of the noble family of Canon Pons. Designated as the capitolium, it was a sala, that is to say a large building consisting of a single room and having no upper floor. A portico (ponticum) is also described in the canon's will, but it is not known whether this referred to the entry to the temple or to the remains of the portico surrounding the forum.